Treasure at Tampines will be located in one of Tampines’ prime sites. It is well-served by public transport and expressways, retail and F&B, international and local schools, park connectors, community clubs and is in close proximity to Jewel Changi Airport. 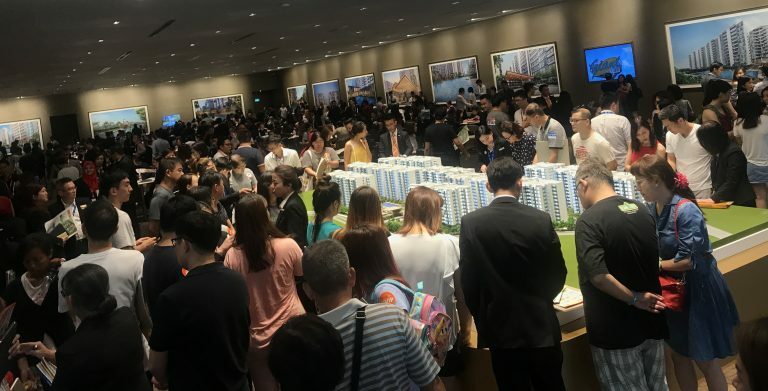 SINGAPORE – TREASURE AT TAMPINES, Singapore’s largest condominium launched last Friday 15 March in the eastern township of Tampines, the island’s first regional centre, and today, one of the most well-developed and self-sufficient towns in the country. 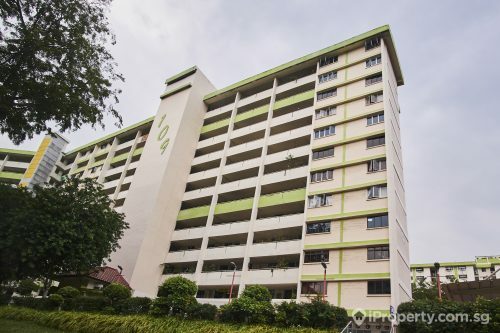 Jointly developed by Sim Lian Group Limited and Sim Lian Holdings Pte Ltd, Treasure at Tampines is located at Tampines Street 11 following the en bloc acquisition of Tampines Court HUDC estate in 2017 in Singapore’s second-biggest collective sale over the past few years. Treasure at Tampines is expected to receive its Temporary Occupation Permit (TOP) by 2023. 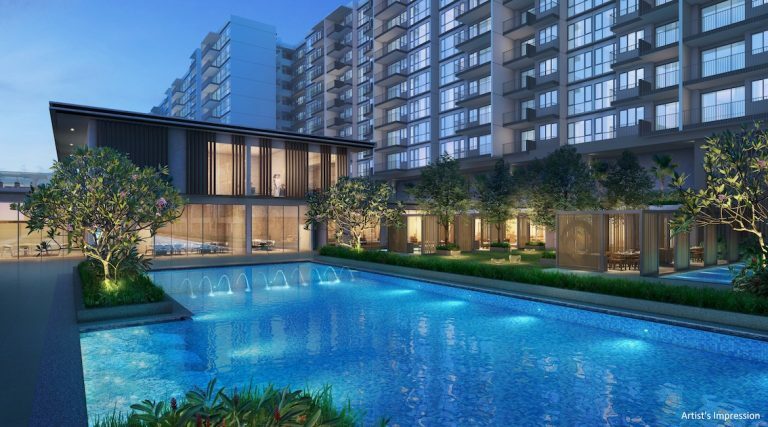 Mr Kuik Sing Beng, Executive Director of Sim Lian Group Limited said: “We’re extremely excited on the launch of Treasure at Tampines, a milestone for Sim Lian as Singapore’s largest condominium to date in the well-connected, bustling Tampines Town. 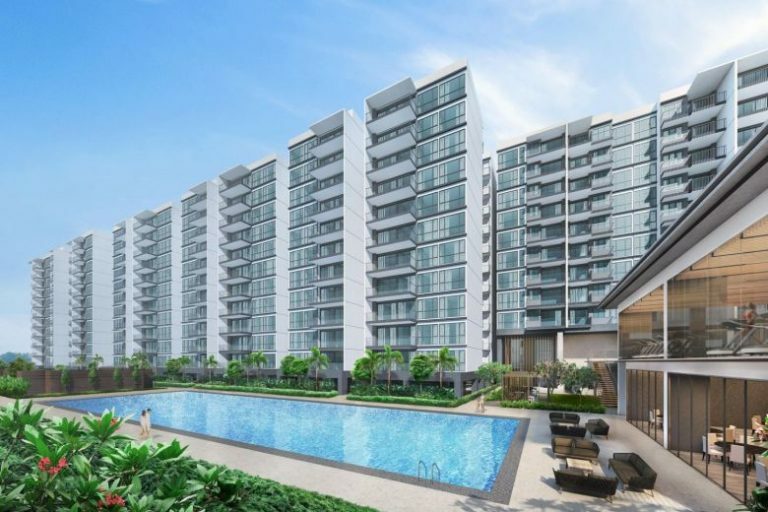 Treasure at Tampines combines Sim Lian’s key ingredients of an attractive project namely, accessibility and close proximity to shopping and lifestyle amenities. Developed on a sprawling site that spans close to 650,000 square feet or the equivalent of 11 football fields, Treasure at Tampines will offer the luxury of space and expansiveness. With 40 per cent of the site built up, residents at Treasure at Tampines can look forward to creating precious memories together at its family-centric recreational facilities in a lushly landscaped setting. The 99-year leasehold development will offer 2,203 homes – comprising one to five-bedroom units. The spacious and well-laid out units range from 463 square feet to 1,722 square feet (43 square metres to 160 square metres) and are fitted out with quality fittings from Electrolux and Hansgrohe, ensuring maximum functionality, style and comfort. Laid out in a north-south orientation, the majority of the units face waterscapes like the lap pool and children’s pools, aqua aerobic pool, leisure pool, family pool and more. Pool, Treasure at Tampines. Condo. 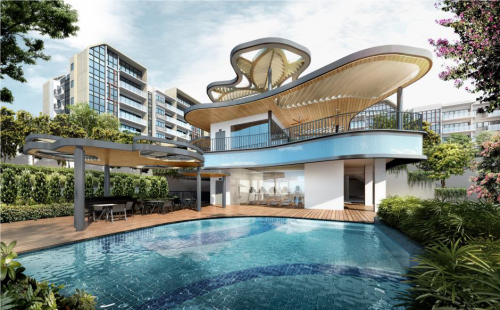 Residents at Treasure at Tampines will be spoilt for choice with the plethora of 128 recreational and lifestyle amenities including 13 pools easily accessible for all home-owners to enjoy. These range from a well-equipped Treasure Clubhouse, two lap pools, two children slide pools (ocean slide pool and floral slide pool), onsen spa pool, two playgrounds, 24-hour largest indoor and outdoor gym facility to a 400m jogging track, rock-climbing wall, aromatherapy gardens, jacuzzi alcove, trampoline courtyard, dining and barbecue pavilions, tennis court, themed gardens and yoga deck. These amenities have been carefully curated to meet the changing lifestyles of today’s homeowners who are more health and fitness conscious. See more: What are REITs and how to find the best deal? The location of Treasure at Tampines is prime in every aspect. 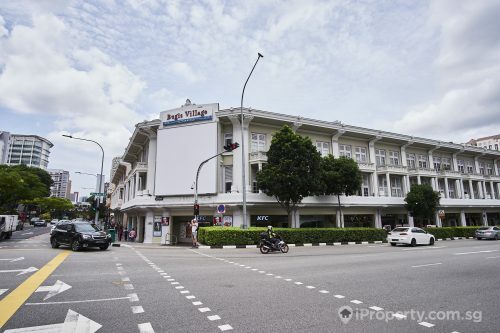 For residents as well as investors, Treasure at Tampines is conveniently located in the midst of a matured estate with schools, public transport, community clubs, retail and F&B amenities within the vicinity, and the iconic Tampines Round Market just a short walk away. Mr Eugene Lim, Key Executive Officer of ERA Realty Network Pte Ltd, one of three property agencies appointed to market Treasure at Tampines said of Treasure’s excellent location: “Located in Singapore’s first regional centre, Treasure at Tampines sits in an established and matured estate with an abundance of amenities. In addition to easy access to Tampines Expressway (TPE), there will be direct access to the Pan Island Expressway (PIE) via a new slip road – Tampines Lane. Within a five km radius of Treasure at Tampines are also the Tampines Regional Centre (Tampines Mall, Century Square, Tampines 1, two main bus interchanges), Our Tampines Hub, international and local schools, and tertiary institutions. Residents can also look forward to a safer and more comprehensive 21 km cycling path network which the Land Transport Authority will be completed by 2022. Just six minutes away by car will be a new icon for Singaporeans and visitors alike – Jewel Changi Airport. The spectacular 10-storey lifestyle, retail and food destination will officially open on 17 April 2019 with more than 280 international and home-grown retail and food options available. 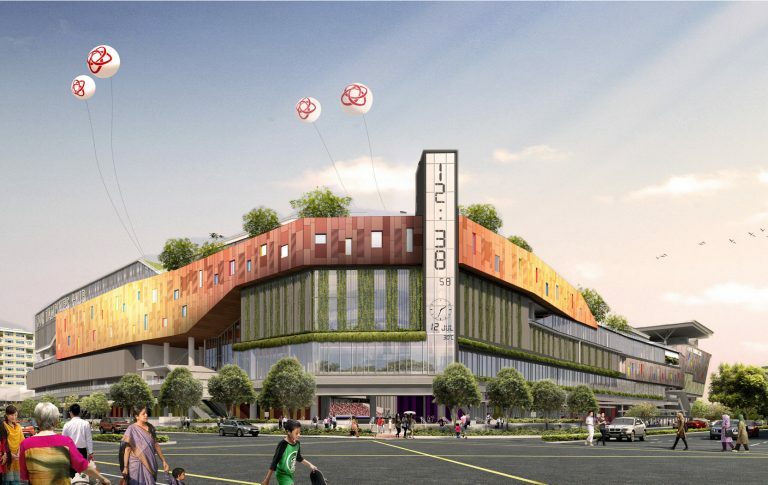 With more than 13 million square feet of current office and retail space, and another five million square feet in the pipeline, Tampines is well on track as one of the fastest growing regional centres in Singapore, where residents live, work and play. Currently, Tampines is a major employment hub outside of the CBD, with employment clusters at the Tampines Regional Centre, Changi Airport and Changi Business Park, Singapore’s largest integrated business park across 71,000 square metres which houses tenants such as DBS, IBM and Standard Chartered Bank. In fact, several major Singapore banks like OCBC and UOB have chosen to locate their back-end operations at Tampines Regional Centre. Continued development at Changi Airport (upgrading works to Terminal 2 and building of the new Terminal 5), Changi Business Park and the Singapore University of Technology and Design will ensure an uptrend in employment opportunities. Given these developments which will draw both Singapore citizens, expatriates and their families to live in Tampines, the pipeline of demand for Treasure at Tampines is expected to be strong. Treasure at Tampines is attractively priced at approximately S$1,280 psf on average of the released units. 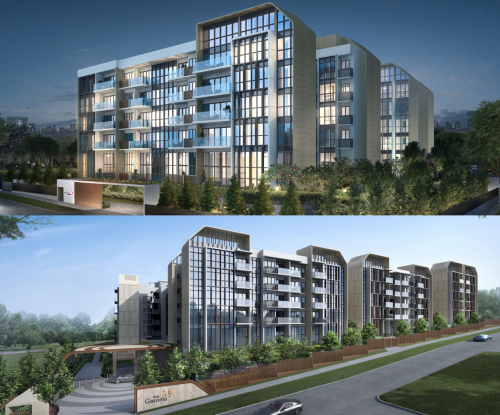 OrangeTee & Tie, ERA and PropNex have been appointed the Marketing Agencies for Treasure at Tampines. This article is contributed by Sim Lian Group Limited.